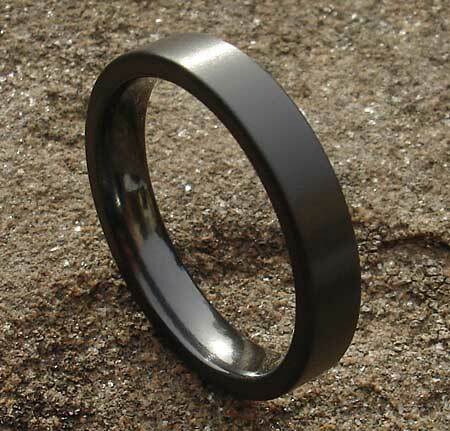 Men's Flat Profile Black Wedding Ring : LOVE2HAVE in the UK! 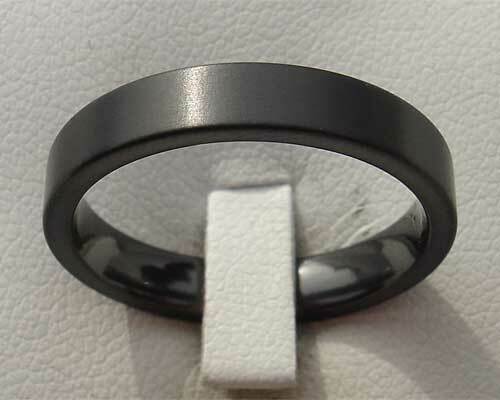 Based on the design classic this flat profile men's wedding ring is manufactured from black zirconium. Even though we have listed this ring as a men's ring, it is suitable for both men and women as it is available in differing widths and therefore makes an excellent choice for an unusual or alternative wedding rings set. We have the 5mm width version pictured here with its lovely silky satin finish. The classic flat profile is the most popular choice for ring shapes, and our black zirconium rings offer the alternative and are available in both polished and satin matt finishes. A very simple, yet very stylish design statement and something very different from the norm. Width(s) Available: 5mm or 7mm.